Discus-shaped wall and ceiling lamp in blown white opal glass, for particularly soft and diffuse light. A halo of light conjures the AJ Eklipta (formerly AJ Discus) wall lamp by Louis Poulsen when it donates soft and diffused light in the living room. In addition this wall lamp sets with their minimalistic, elegant appearance a discreet sign on the wall. The hand-blown, three-ply opal glass is formed for the Louis Poulsen AJ Eklipta that there is a absolutely consistent illumination when switched on. The 100% glare-free light spreads in all directions and creates a harmonious atmosphere in the room. A clear edge around the lamp ensures the distinctive "halo" and the dedicated wow factor. 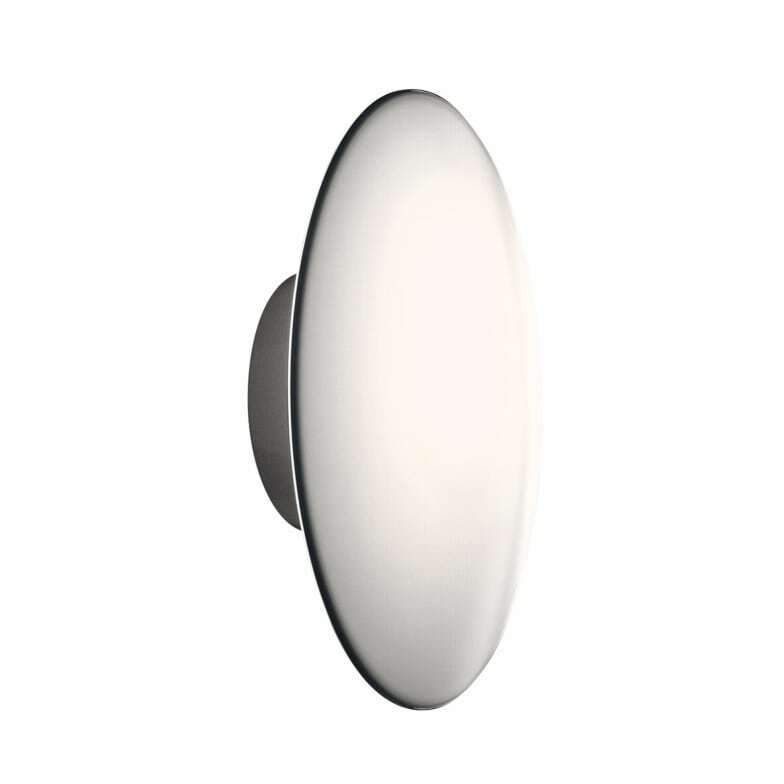 The Louis Poulsen AJ Eklipta wall lamp is used in living rooms, bedrooms, dining rooms or the home office where the timeless design of Danish designer Arne Jacobsen not only donates decorative room light, but shines as a stylish eye-catcher. Do you have a question about "AJ Eklipta"? How can we contact you?